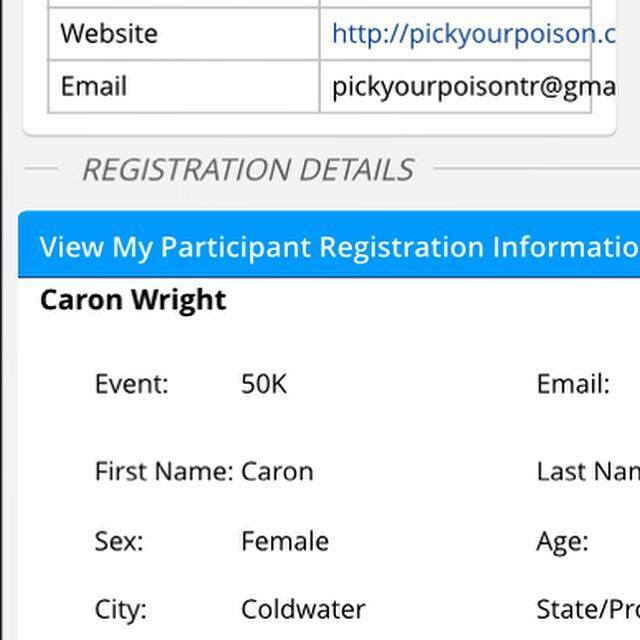 I registered for the Pick Your Poison 25k Trail Race way back on December 28, 2015. It was winter in Canada. It was dark when I would leave for work and dark when I arrived home from work. Although I was still going to the gym, my running was limited to a short run most weekends. With the being event held on April 30th, 2016, just as the snow would be melting off the trails, I knew that even the 25k distance would be pushing it for me. I was disappointed in letting my training slip when Caron confidently shared she was running the 50k. In the middle of middle of February, I had been messaging with my niece Caron about upcoming races. She was committing to the Goodlife Toronto full marathon on May 1st, and I mentioned about the Pick Your Poison race just the day prior. It really grabbed her interest. The more she thought about it, “Why go to Toronto and pay for hotels and all that, when she could run this practically right out her back door.” She got back to me to say she was running the Pick Your Poison and then added, “But I’m doing the 50k”. I was excited for her, excited we would be at the same event, but disappointed in myself for letting my training slip. The most I had run since my fall marathon right up to the weekend before my race was 5k. But my disciplined “Unstoppable Niece” Caron was prepared. She was in a #runstreak that was closing in on a year, and was MUCH more prepared than I was. Caron’s reply was a wake up call. My goal was to run an ultra-marathon later in the year. But this 25k I registered for had over 1/2 mile of elevation gain/loss. It was only a mere 10 weeks away. I knew I had better get training harder, but train smart. Greatly increasing mileage would spell disaster. My bad knees and ankle just cannot handle it. So I increased my cross training on my bike and in the gym. 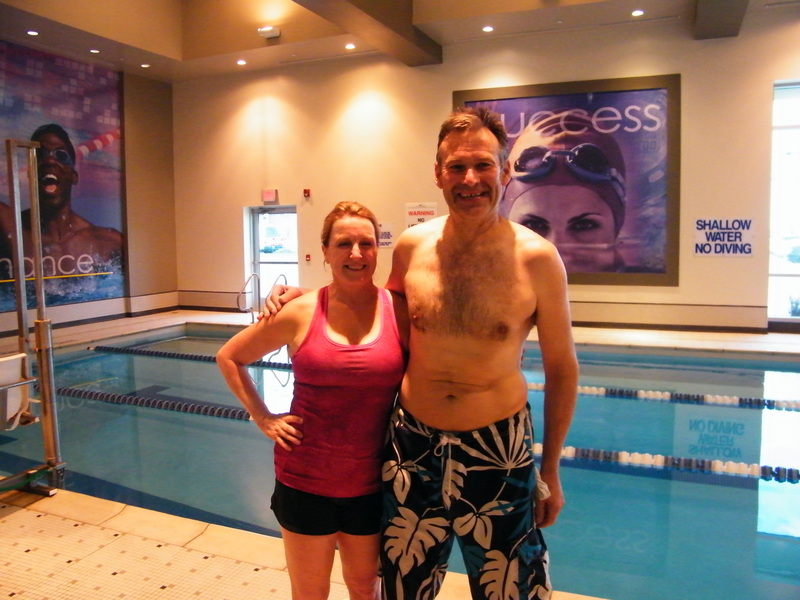 This included an aquafit class taught by Kim, who is magazine editor of Simcoe County Total Sports, a class that increases strength, builds stamina, and gently tones every muscle group in the body. The weekend before my 25k race I ended up running a 15k. When I woke up the morning of the race on April 30th there was a mixture of nervousness and excitement, yet overall I felt surprisingly prepared for this 25k race. My confidence dampened in the clubhouse when I overheard conversations between elite ultra-marathoners who were running the 50k talking about their centerion runs (100 miles or more) like they just walked down the street to get the mail. I was definitely NOT in this league! It even dampened more when I overheard other converstions about sprained ankles and other race related injuries on the course from previous years. All of a sudden I felt very nervous and vulnerable. I made my way out of the clubhouse and waited for Caron near the starting line. We saw each other in the distance and gave each other a wave. It was SOOO good to see her. I needed this. As with most 50k runners she had come prepared with a drop bag that came with replenishing supplies to grab when you come in with each 12.5k loop. It even had an extra pair of runners 1/2 size bigger in case her feet were swelling from the course. As I had come prepared to run the 25k, I had none of this. Normally I don’t enjoy mass starts, but today was the exception. Everybody (the 12k runners, the 25k runners, and the 50k runners) were all starting at the same time. I was really excited to run these 1st 25 k’s with Caron. 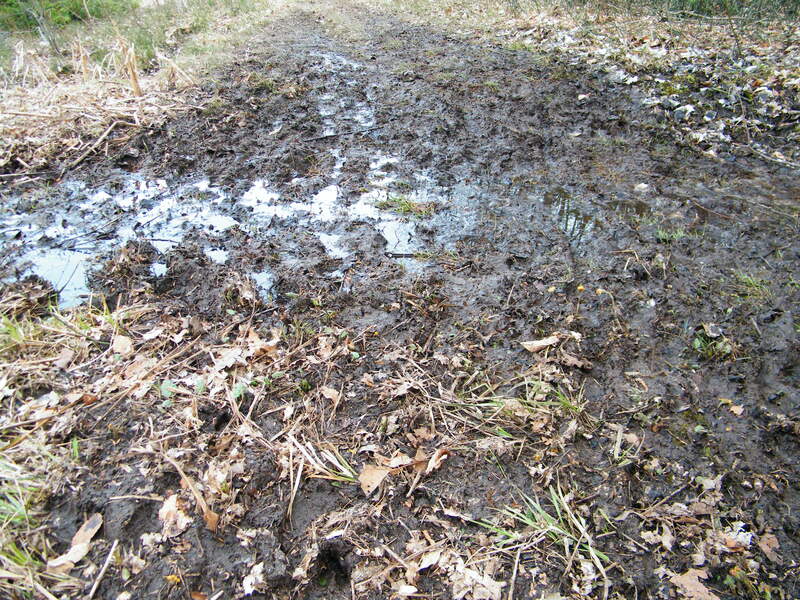 On Caron’s extremely well written race recap on her blog post she describes the course. It was really tough. My 2 loops of 12.5 k each for me were going well, but Caron, as she mentions on her post was losing her goal pace even on the 1st lap. She encouraged me to go on ahead. Observing her bonk this early in the race I had already made the decision I was going to stay with her and I wanted to accompany her and support her through my 25 kilometer portion. I told her I did not care about my time, and I would pace with her any pace she needed. I really wanted her to achieve her goal of achieving this ultra-marathon trail race. She did not protest with me. There was leg burning hills! As we were running in the 2nd loop the massive leg burning hills, the mud bogs, the technical sections and the fast switchbacks were still there. However, one thing we both noticed was how the runners were thinning out after those who registered for the 12.5k distance had finished their course. And once I had finished the 25k distance I had registered for, the field of runners would thin out even more. Reaching the top of another hill, Caron turned around and said, “I’m going to miss you Uncle Carl. It is really going to get lonely for me after you finish”. I love my niece dearly, and am so proud of her for her accomplishments. Personally I don’t run with any electronics, but Caron had a Garmin and was calling out the distances after each kilometer completed. The same time I was subtracting that number from 25k to determine how much further to go until I am finished this thing……10 kilometers to go, 9 kilometres to go, 8 kilometres to go, 7….”I’m going to miss you Uncle Carl”. In my heart of heart I knew what I needed to do, but with my longest run of 15k this year, should I even attempt. My mind was in overdrive making the calculations. My 7 k’s to go in an instant would now became 32k’s to go. The mental hurdles that awaited me were enormous. Could I possibly even attempt to run these entire 50 kilometres with Caron? We continued to push on for the next 3 kilometers. Caron was not aware of the turmoil going through my mind. I could still finish my 25k, Caron is strong, she WILL finish, but at the next aid station while we were catching our breath the words blurted out that I was debating or not to say, “Caron, I have decided I want to finish this race with you. The words were now out. Little did I know that these next 30 kilometers I was committing to something probably tougher mentally and physically than any time since my mountain climbing days 30 years ago. Lots of fallen logs on the course. This is shortly before the aid station where I announced to Caron I was running the 50k. Caron was really moved by my commitment. It made me very happy and grateful and confident I made the right decision. The next 5 kilometers to the end of loop 2 were euphoric. I drank in my surroundings when it was not overly technical and became extremely aware of my body and the mechanics of every breath, every footfall, every heartbeat. It felt so good to be alive. I was experiencing what is known as a runners high. 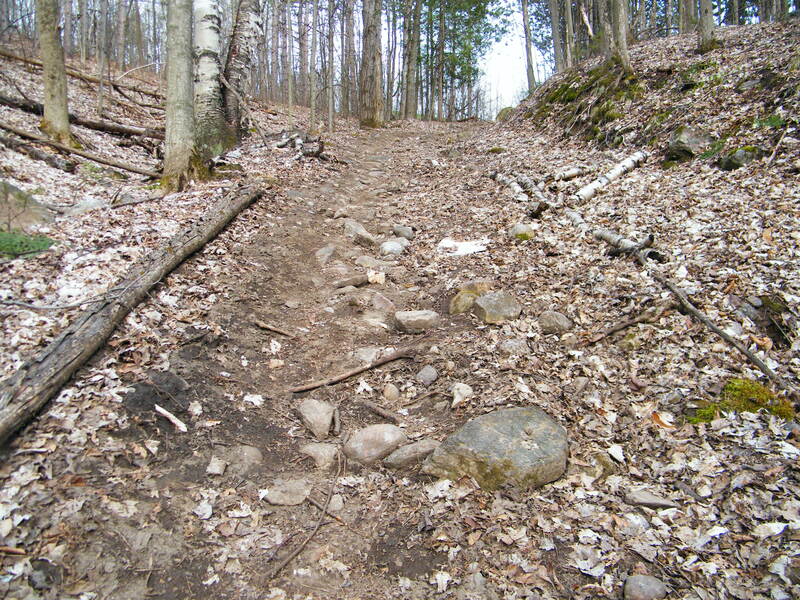 The downhill switchbacks were a blast, and my favourite section was a stretch of trail that sloped gently downhill and had soft cushiony ground. It felt like I was running on air. It was a strange feeling completing my 25k, but now only STARTING what I had just newly committed to run . 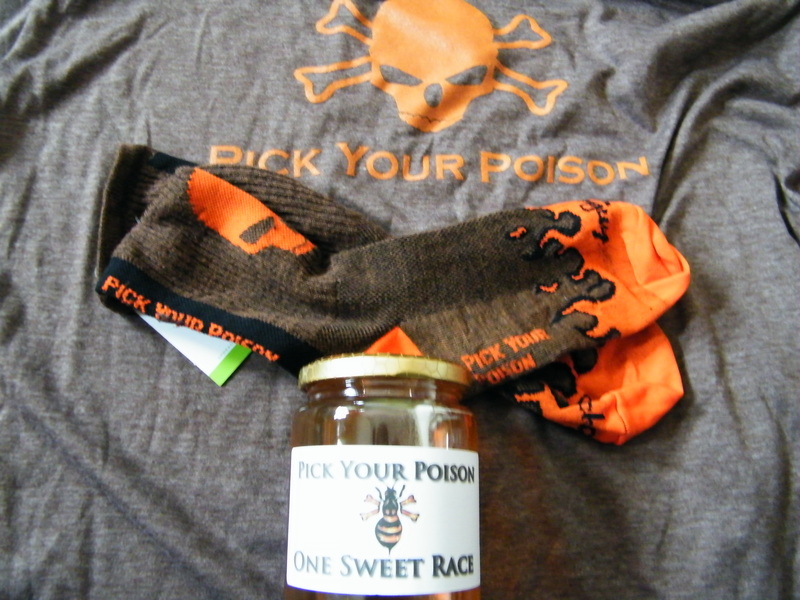 I declined the awesome pair of Pick Your Poison socks given out to every participant who completes the course they registered before the cut off time. It must have been very confusing for the race officials as I smiled and called out, “no thank you, I’m still running” (they could tell I was only running the 25k by my bib number.) The wonderful volunteers at the base aid station were also at 1st a bit confused at first, but became excited for us as they discovered what was transpiring. With Caron feeling a bit “off” at this point my focus was to commit for the duration, whatever lay before us. 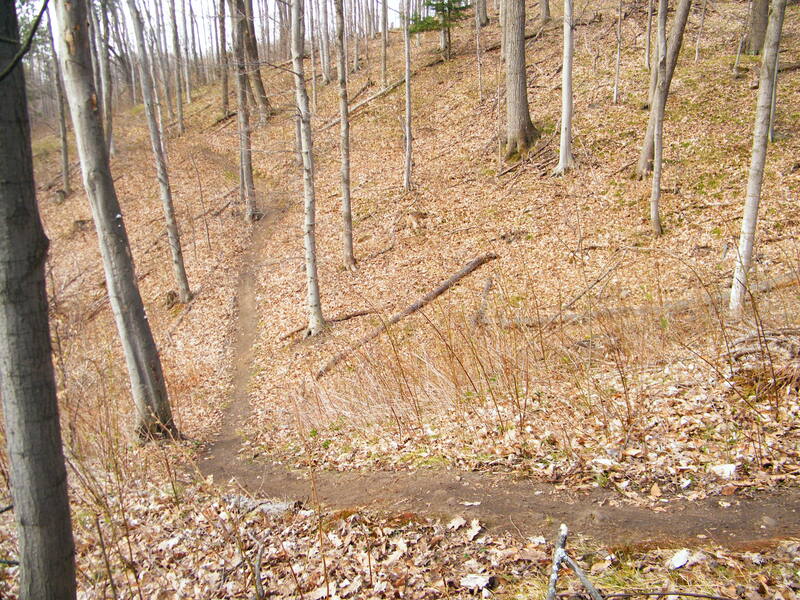 I seemed to let my guard down on this non-technical section of the trail each loop. 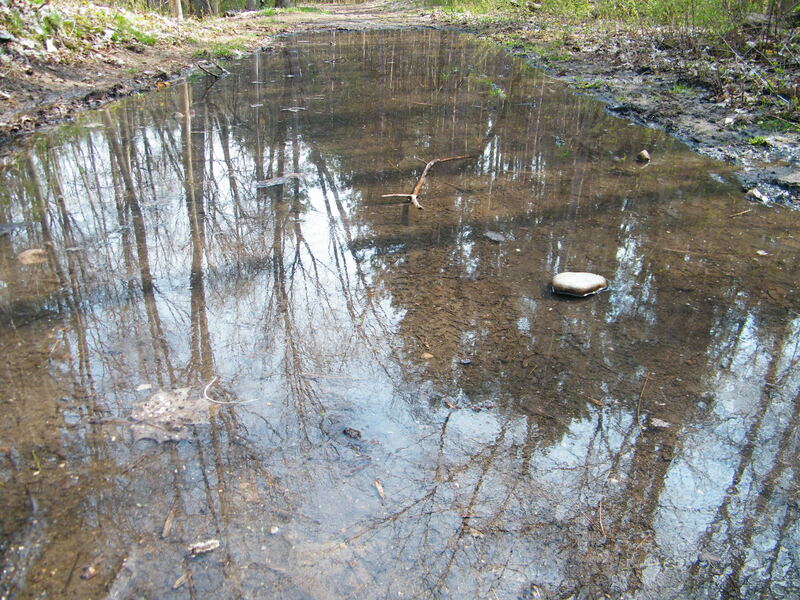 After starting loop 3 along a fire road, it turned into a beautiful enchanted forest with a gurgling brook. It was calming and relaxing. 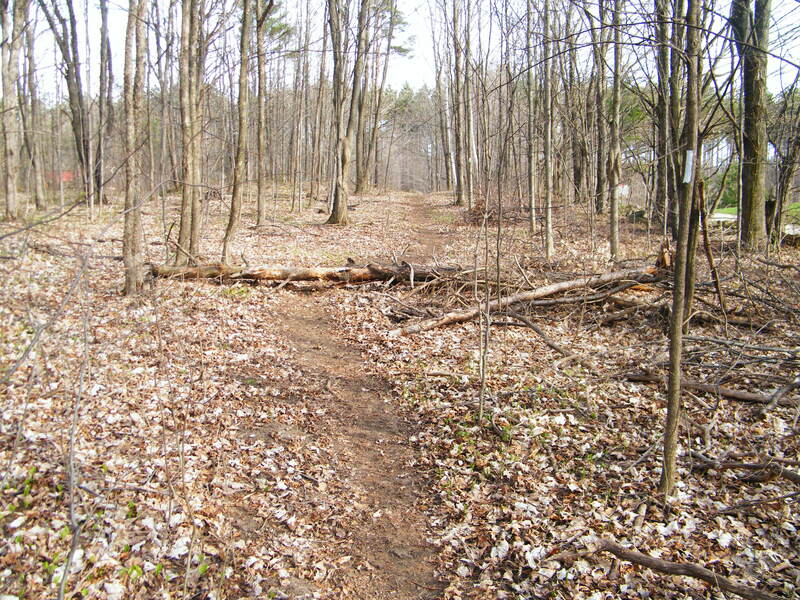 Each and every time I went through here on this easy and gentle trail I would let my guard down. My foot would catch a rock or small root and I had to quickly catch myself from ending flat on me face. It happened 4 or 5 times on the course, all around the same spot. I’d comment this to Caron, and we shared a laugh. It was the easy parts that were causing me trouble. 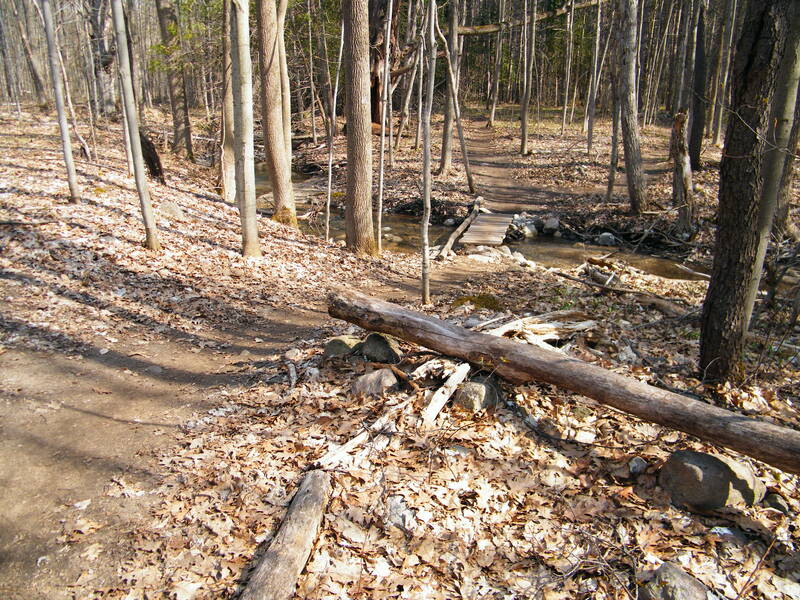 I was enjoying my surroundings on this part of the trail just too much. Reminding myself to pick up the feet and concentrate we carry on. For Caron her 3rd loop was her most difficult. I knew I made the right decision to stay by her side and gently support and encourage her. Sometimes we would talk while we were running. It might be about our families, or about running. And we are honest with one another when we were bonking, or the race was taking it’s toll. There was comfort and security being in each other’s presence. I felt so comfortable running with Caron. Sometimes there was long periods of silence where each of us were pushing ahead in our own thoughts. Yet there is never any awkwardness in those times. Around the spot where Caron turned around and said she was really going to miss me when I finished my 25k. It was during one of those silent periods half way through the 3rd loop that the pain hit. Each time my foot landed, it created a searing charley horse like pain permeating throughout my calf muscles as they tightened up. As I lifted that foot up my muscles would release, but when the other foot landed the other muscle would tighten up. Left, right, left, right, it was extremely difficult to keep going with the pain. I was desperately trying to keep up with Caron, fighting through the pain while fearing a full charley horse. In my last 2 marathons I witnessed marathon runners have their race abruptly end through what I assume were these same type of muscle contractions. I knew what was happening. I was becoming salt deprived, and in addition possibly water deprived. I did not want to trouble Caron as she was fighting her own battles, but finally I called out “Caron, I am cramping and am struggling.” After walking a bit and drinking my entire litre of water in one go, I discovered that a fast power walk matched Caron’s slow run. The contractions were still there, but the intensity was not as strong. 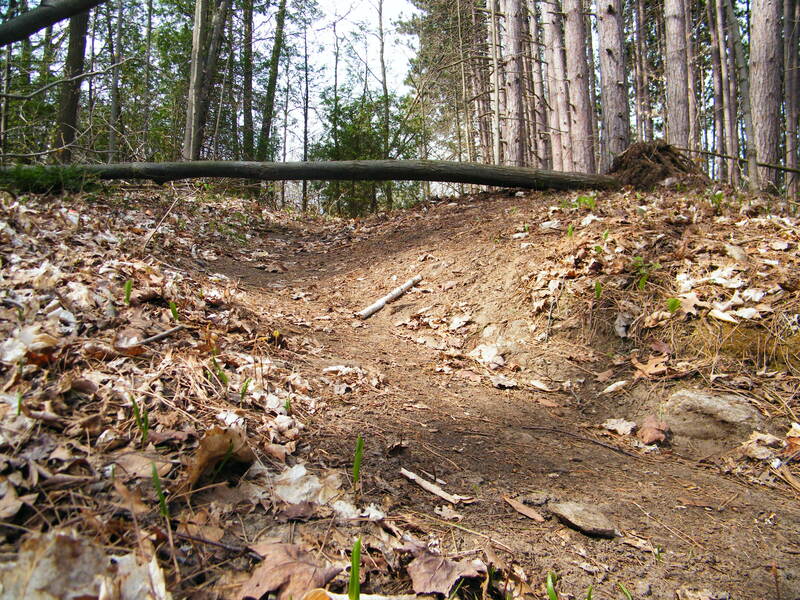 Up hills were welcoming, the rare flat ground sections were just okay and the downhill’s I dreaded. Caron was fighting her own battles, but every few minutes she would call out in a concerned voice, “Are you doing okay Uncle Carl?” Where it was my intention to support and be there for Caron, she was in fact supporting and being there for me. Normally logs like this don’t bother me but as the race went on they became more and more challenging. Reaching the 2nd aid station I drank a cup of electrolytes and then drank a refill, got my water bottle refilled, munched on a few pretzels and took a small handful to munch along the way. Continuing in that fast walk after a short while, it seemed the contractions in the calf muscles were improving. Changing to a slow run to match Caron’s the pain was still there but tolerable. But as time went on it got worse and worse. With the pretzels I had with me long gone, instead of counting km’s to go, I was counting the number of downhill’s until reaching the base aid station. One final downhill to go, and it was brutal. Crossed the start/finish line and once again the dear volunteer was holding out those “Pick Your Poison” socks for completing my 25k. I said running past with what would have been a pained look on my face “No thank you” and the volunteer looked even more confused. Coming up to the base aid station I blurted out the words to the volunteers “Please, I need salt. I am cramping badly”. To me, these words seemed SO absurd coming out of my mouth. I don’t touch salt, am always reading labels on the sodium content of packaged foods. My dad died at 47 of a heart attack and I am really trying hard to keep my blood pressure within an acceptable level. This includes my salt intake to a minimum. I don’t want to be on blood pressure medication for the rest of my life. I don’t want to be on statins for cholesterol the rest of my life. This is one of the reasons I run. An article from one of my more recent blog followers (and who I highly respect) Doctor Jonathan (who was a long time practicing chiropractic physician) is called “High Blood Pressure: The Most Popular Club in Town.” He mentions “That prescription medications do not fix high blood pressure. It is important to realize that the root cause of this hypertensive state remains unaddressed.” Salt is an essential nutrient, and our bodies need a certain amount for survival, but the general public does take in much more than required. I have seen the salt tablets in running stores and I just could not get my mind around it. But now I totally understand why long distance runners carry these tabs with them….just in case! My body had lost SO much sodium in this race that it had fallen below the minimum levels. One of the dear volunteers apologised they did not carry salt tablets and I was directly towards the big bowl of pretzels, and I took a few. While I still eating the pretzels another volunteer offered me a cup of Mr. Noodles. This is something I never eat because of it’s high sodium content. But I was more than happy to try. It was just in my tummy just a few seconds when I knew it was not going to stay down. 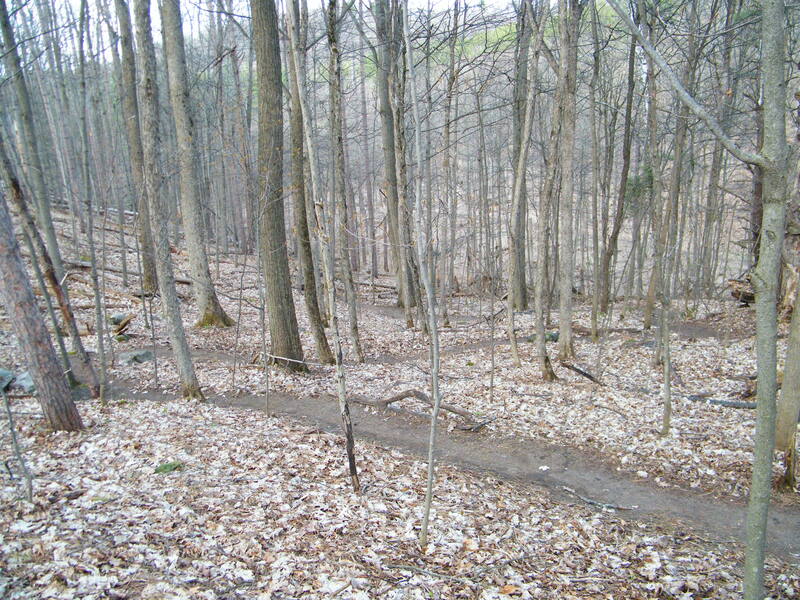 Hustling away from the group at the aid station, I hunched over at the edge of some trees and it came back up. There was a pause and a second round of throwing up, another pause and when the third round came my body was wrenching and heaving but nothing more came. That last round seemed to exhaust any remnant of strength there was left in me. No more hills to encounter if my race day is finished. Feeling like a ton of bricks had just hit me I realized that it was over. I am finished! My day was done. I came into this aid station begging for salt, and now if I am not able to retain fluids or nutrients, to go out on this gruelling course once again would be an invitation for disaster. I tried to regain my composure, and wipe away the tears that had just fallen to tell Caron she will have to finish the final loop on her own. Be strong for Caron. Assure her she CAN do this alone. Yeah, I came to do what I had set out to do. I ran that 25k. Be proud of it too Carl. I looked at the proud yet concerned look on Caron’s husband face who had come to send her out on her last lap. I looked at her little daughter with those sparkling eyes. I looked at Caron. But the words I had rehearsed in my mind were not coming. Walking back to aid station they kindly asked if the Mr. Noodles were helping. I said , “No they didn’t stay down…..is there anything else I could try?” One of the dear aid station volunteers suggested ginger ale. I drank it in small sips. It tasted SOOOO good. Then moving on to electrolytes, one cup and a second cup. And then some pretzels. I only learned how painfully difficult this wait was for Caron when she wrote her own blogpost. She would have been so anxious to get going but graciously did not say anything. But I really needed that assurance that this fluid and nutrients were going to stay down. Finally with my big hand I grabbed a large handful of pretzels to take with me. I felt like a greedy kid not willing to share. Giving the thumbs up to the aid station workers the amazed and excited look on their faces was priceless. That last lap was pretty much a blur. I don’t remember hardly anything of it. It was like driving the same route to work for years, you arrive at work and don’t remember anything of the drive. My one and only focus was to keep up with Caron. She was running very strong. She was pacing ahead extremely hard and with my lack of training, and throwing up at the last aid station it was taking every bit of me to keep close. I did NOT want to hold her back. The pretzels and electrolytes were working, and I felt like “that greedy kid not willing to share” as I took very generous helping of both at the two on trail aid stations. With Caron now running most hills it was a challenge to get the pretzels and fluid into me on the go, but I somehow managed. The cramping was gone and it seemed it was 100% mental to keep pushing….keep pushing. As hard as I was trying to keep up, Caron was slowly distancing herself from me. It wasn’t much, starting with 20 feet, then 50 feet, then 100 feet ahead. Then it became 30 seconds ahead, and then maybe a minute ahead. She was out of sight around sharp corners and hills, and then I’d catch a glimpse of her. There was nothing more for me to give, and I knew I could not make up this time. She was SO strong and doing this on her own. I was in awe. For myself, I also knew I was going to finish, but was saddened of the thought that we would not be crossing that finish line together. We shared so much together on this course. I rounded a hairpin turn that led to the final hill, the final push that would exceed the 1 mile of elevation gain (5,292 feet total) and there was Caron straight ahead. She had the arm of another runner, the back of his black jersey bleached white from the salt in his sweat. The runner seemed to experiencing a lot of distress. Even though Caron and the man were walking slowly, it still took me a couple of minutes to catch up. Coming along the other side, the man grabbed my hand and the 3 of us climbed that final peak. The dear man assured us he was okay for the downhill to the finish. He wanted to finish on his own and Caron and I were off. That downhill is steep in places and I have to be very careful to avoid another tear with my vulnerable and easily re-injured meniscus in the right knee. As the hill flattened Caron and I picked up speed before crossing the finish line. Unknown to Caron of the sadness that was going through my mind up top, she reached over and took my hand in hers as we crossed the finish line together. It was the greatest feeling. And for the 3rd time in 3 laps that dear volunteer was holding out for me those Pick Your Poison socks. This time I was SOOOO happy and grateful to reach out and take those socks. With a race of this magnitude every runner has their own personal story, no matter the distance accomplished, no matter the time it took to make it. There are so many out there, but I am just going to share a couple. The 1st is about a dear lady named Lori whom I heard about on the Pick Your Poison Trail Race Facebook page. She was the final runner out on the course. We messaged a bit on that page and she told me how painful the extreme loneliness she felt. This is the same loneliness of what my niece Caron was concerned about. Overcoming this had to be enormous. But Lori mentally pushed on and on and finished this gruelling 50k course just after the 8 hour cut off. As she finished, she was sobbing for joy. I think of the volunteers at the aid stations, on the course and at the finish line. So encouraging. So caring. They remembered our needs and our preferences as each loop was knocked off. I can’t get over the HUGE buzz that was created among them after my decision to accompany Caron to her finish. 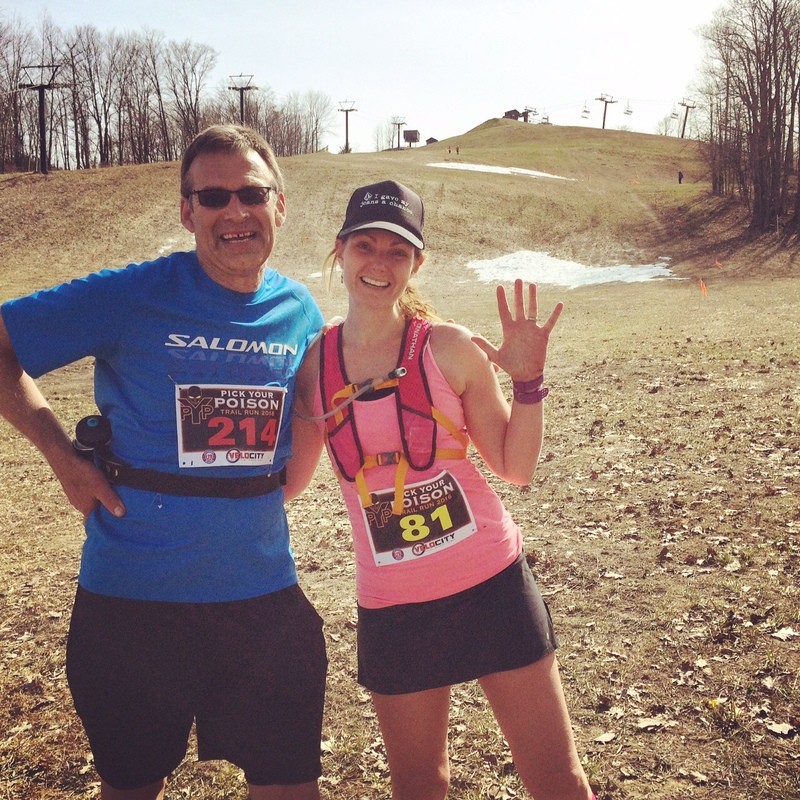 And race organizers Adam and Heather (a husband and wife team)….what can I say, this event was so tremendous. 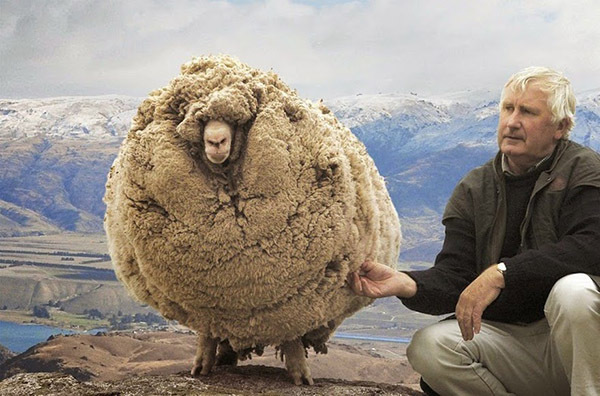 I have no idea how much work would go into this, but I know it is HUGE. And the one thing you did after the race…..you bumped me up into the 50k class to make it official. This is something race organizers don’t normally do. THANK YOU SO MUCH! I am so grateful! Lastly I think of my niece Caron. This was such an amazing race. Yeah we bonded during our training together way back, but no comparison than the bonding we had on this course. She is such a very smart runner and knows when it is important to pull back some. And when she let loose, she was indeed “My Unstoppable Niece”. On her first ever ultra-marathon she finished 12th out of 30 female runners, which is HUGE!! She is such an inspiration! If anyone is on Instagram, you can find her @ this.girl.runs. And as I mentioned about every runner has their own story, well Caron has her story as well. It is from her perspective and written with such passion, inspiration and emotion. Her amazing personality shines in this post. You can read it on her extremely well written post on her brand new website called thisgirlcaron. Surprisingly I was not nearly as sore as might have expected after the race, but the exhaustion came a day later. Boy was I tired. And it took a couple of days to get back to myself. Four days later I was back running on the course to take pictures. It was so sweet retracing the course and remembering all the emotions. I went a slow pace and marvelled how beautiful it was in there. There was the hills that seemed like mountains, the logs that seemed like major obstacles, and the mud that seemed to go on in this one area forever (but in reality it was not that far at all). And yeah this time I stopped in that enchanted forest with the gurgling stream to allow the sounds of the water soak deep into the soul. At the end I climbed that final ski hill where Caron, Hans and myself climbed up arm in arm together. I stopped and took in the panoramic view of the area where the course ran through. I looked to the west and in the haze there is the faint outline in the horizon of what is known as The Blue Mountains, and my heart started beating faster. Two days after our race Caron still feeling on top of the world had registered for the North Face Endurance Challenge held in the Blue Mountains. 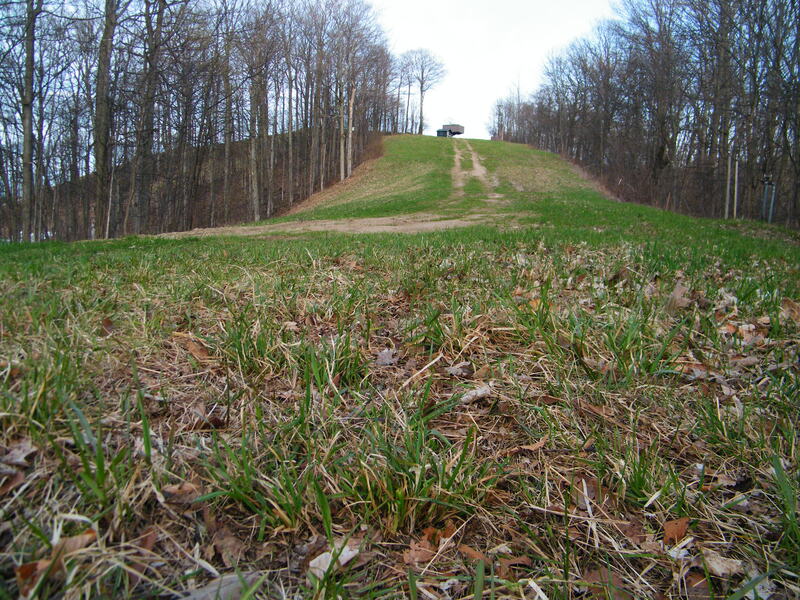 It is another 50k ultra held in July, but has more elevation than what we just completed. Before my Pick Your Poison race my thoughts were on the North Face race, “I was not going to run this. I did not think I had it in me. I could never do this.” But as I reflected on this past event and the nervousness I had of even running the 25k, and then completing it as a 50k, it was something way beyond my comprehension. It was life changing. I learned a lot about the challenges I faced, and the mistakes I made. I learned a lot about the “inner me”. And running with Caron and how she came to the aid of Hans, I learned a lot about looking out for one another, and how important that is. I thought how fully alive I felt running. I experienced the feeling of not having anything left in the tank and reaching down and discovering there was still more there. I want to experience this all again. Wow, Carl, I’m speechless. What an amazing undertaking and accomplishment! Congratulations to you and to Caron. Ultramarathoners! Congratulation on your first 50km officially or unofficially! Sometime we don’t know what we’ve got in the tank until we need to. Judging by the end photos, did you two even run 50km? Not a hair out of place! Haaha….yeah the “hair out of place” thing has already been mentioned by a friend of mine Natalie. But sunglasses serve their purpose very well. They conceal the weariness mixed with emotion of completing it, and yeah some parts of the race they concealed the tears. Wow Carl, what an accomplishment. Thank you for sharing your amazing story. You and your niece are inspirations. Awww thank you so much. I appreciate your very kind words. So often the inspiration goes both ways. I look at yourself and your amazing family and I think WOW! Thank you for taking the time to read! Thank you for sharing and THANK YOU for your inspirations to me. I am in awe of your achievement. Well done! My precious wife suggested I should start this post with a warning about the length of it. Better grab a cup of coffee, or pour a glass a wine…..haha Thank you for dropping by and sharing your kind words. And my dear friend Yvette, I have been trying to get on to your blog for at least a couple months now, but security features have denied my access. I MISS you and your blog! also – never worry about length when blogging – and I actually know the blogs that make “meaty” posts – and plan aroudn that. And so I know that this is your style – whereas some bloggers post a photo a day – or a quote of the day -a nd then some do only one challenge a week. I have also seen some bloggers evolve – and change styles – and so I know that when i visit blogeers like you, mabel, g, and a few otehrs – well they are wonderful reads because of the care that gets put into them – and I book mark some and then when the right chance coems up I indulge. For example, we were at an appointment and had over two hours to wait – maybe more – and I read a few of Mustang Kojis posts that were in my que and the whole mood of his posts now are associated with that day. anyhow, all that to say that it is better to write a meaty post and then at least give us the option of reading it – as opposed to chopping too much just assuming this or that. because readers can skim and choose as they go. ok – so be back later and thanks again for the nice comment reply. well I will check out your other blog – and warning – I just wrote a LONG post myself – my longest since maybe 2014 – it is 2000 words – ha! Maybe I was inspired by the Cool Canadian Breeze coming down from Carl land…. ha! *stands up and applauds* CARL!!!! You are awesome!!! I have no other words. First, a perfectly healthy younger person would struggle, but you, Carl, mid-lifer, injured knee, slightly under trained—you freaking did it! UH MAZE ing!! Your post was very inspiring, too, and I’m in awe of your fellow marathoners and of you! Congrats on an incredible journey and to Caron! Thank you so much Terri for such a kind, generous comment. When I went back on that course 4 days later, I was wondering “how on earth did I pull this thing off”…haha! An amazing inspiring story about family, challenges, injuries, perseverance and SUCCESS. Best of luck on your future event. Thanks so much Dr. Jonathan for reading and for your very kind words. My next ultra is a couple of months away, but I know that time will come up Very fast. And I will be dropping by your blog for motivation to keep myself disciplined in my health and eating habits. Good gracious!!! And I thought 10K is too long. I mostly run 5k’s, the most I’ve done was 10k. I was thinking that 25k is already outrageous, and for you to continue on another 25, boy!, just impressive. Strong determination really is synonymous to stubbornness. 😀 Congratulation! Quite a feat you dared and pushed yourself into. Thanks so much for taking the time to read and share. Congratulations Carl and Caron! I love the way you skipped over the ultra learning curve and just like a veteran, simply ran one. Inadequate training, sign up for a 25K, but decide it’s a nice day, so I’ll tack on another 25K… Wow! I had the honour of running with (behind) Hans Maier at Kingston last year when he broke the Canadian 6 hour record for his age category. It is something to see an elite athlete such as Ellie Greenwood go at it, but something else entirely to watch a 77 year old run FAST for 6 hours. Hans is a true inspiration! It was really neat to reconnect with Caron in this race. She is an amazing person. Thanks so much again Denise for taking the time to read and share. Carl I can’t believe it! That you could do twice the distance you trained for? You are a super hero in so many ways. The physical accomplishment but the emotional aspect too. To be their for your niece like that is a herculean effort. I hope she realizes how lucky she is to have an uncle like you! Wow! Ahhh, thank you so much Sue for such a generous comment. Yeah my niece is pretty special. 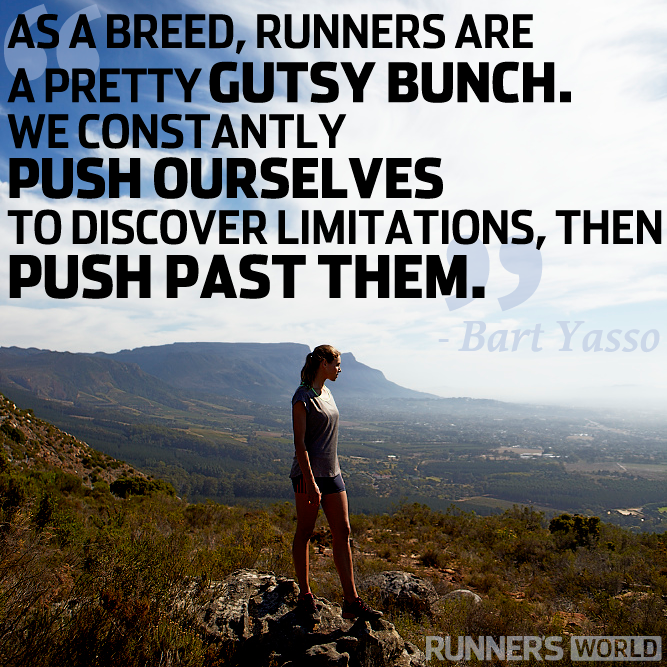 I am just SO thrilled there is another runner in the family that is as passionate about running as I am. If it wasn’t for Caron and my wanting to keep running with her, my race day would have for sure ended at the 25k which I had registered for. Looking back I am pretty shocked myself, I was able to pull this off….haha. Thank you so much Christy for taking the time to read, but more importantly sharing about #lizzystrong and your 411 mile challenge. This is such an important cause you are running for. Every week at church I will talk about a 5 or so minute awareness topic, and one of them last year was about human trafficking.. I had no idea. I cannot get my mind around the statistic of 27 million slaves trapped in the human trafficking. That fellow human beings are sold as a commodity. I commend you SO much Christy for taking up the challenge. where the people in this village in Africa has to walk 5 kilometers for water that still was not safe to drink.. The sunshine and warmer temperatures should help big time, I know they do for me…lol. Pretty soon you will putting miles ahead before the Minnesota winter settles in later in the year. And Christy, I commend you so much for doing this. I admire you. And you are yourself an inspiration to me. Enjoy your running. Am looking forward to following along on your running challenge. You deserve a huge round of applause for this! To take a decision almost halfway into your original race that you are doubling your track… Absolutely incredible! It takes not just physical but mental strength…. This is where even the support system you and Caron had together comes into play – you helped each other out 🙂 Nature and the beautiful forest took care to keep up your spirits as well. P.S. Instant noodles are my favourite snack after waffles! Sorry to hear they didn’t sit well with you. But realistically, an apple is what keeps me going. Thank you so much Prajakta for reading and for your generous comment. It is such a beautiful course and forest and it really went a long way to keep me going. Am transitioning more and more into trail running all the time. it was amazing how Caron and I were able to support one another. When I was struggling, Caron was strong, when Caron was struggling I was stronger. I so loved this Carl. Inspiring doesn’t seem fitting enough. You and Caron made great memories that neither of you will ever forget and you learned a bit about yourself. It’s quite the testimony you supporting her, and Caron supporting Hans. LOVE it! 🙂 I can’t wait to see what challenge you take on next! I love your page! Such a wealth of information about you. I wish I could run 25k. I’ve never been much of a runner but the “runner’s high” appeals to me! CONGRATULATIONS on your 25k run. That is a huge feat. I look forward to reading more! Wow, I can’t imagine running that much! I like all of the pictures you included. Congratulations. Thank you so much. if I dwell on those distances before a long race it can really be overwhelming. But you get into the rhythm and knock off a kilometre at a time. In perspective I cannot imagine what it takes to write a novel like yourself. Am truly in awe and amazed with writers such as yourself. But it is a paragraph at a time until you reach completion. Wow! I am so behind on my blogs, but I am so glad I caught up on this! This is truly amazing Carl! I am speechless, well wordless. They say you really get to know yourself on an ultra. To decide to do a 50km when you only planned on a 25km for your niece is so selfless. But, you seem pretty selfless. Your niece is pretty amazing! Both of you are! Congrats, you are an ultra runner!! Caron will be running another 50k Ultra on Saturday. She has definitely got the “ultra bug…..lol”. Hard to describe, but once you do one you are hooked. Have signed up myself for two 50k’s in the summer, one in July and one in August. Hoping to be a bit more prepared for these…lol. I sincerely hope that wolverine is still not causing issues. It must be very difficult having to forfeit events that you had your heart set on. This is the most amazing story! Congrats on finishing the 50K! I feel like I would have offered that to one of my friends that needed support as well, but would have been wondering what I was thinking later. You are such an amazing man Carl! You guys look great in the pics. 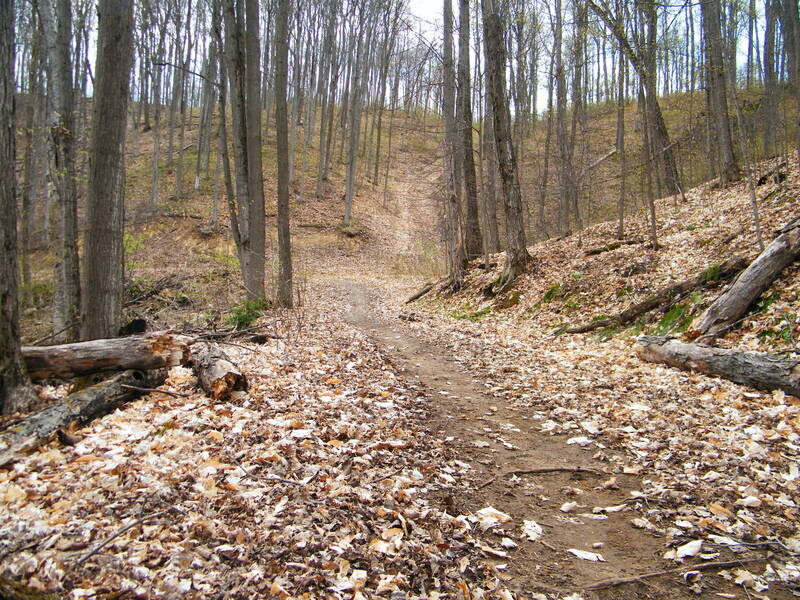 The trail looks like it was really beautiful too, but those hills do look like they are burners!!! You ran an ultra marathon!!!!!!! SO AMAZING! The course is SO beautiful. 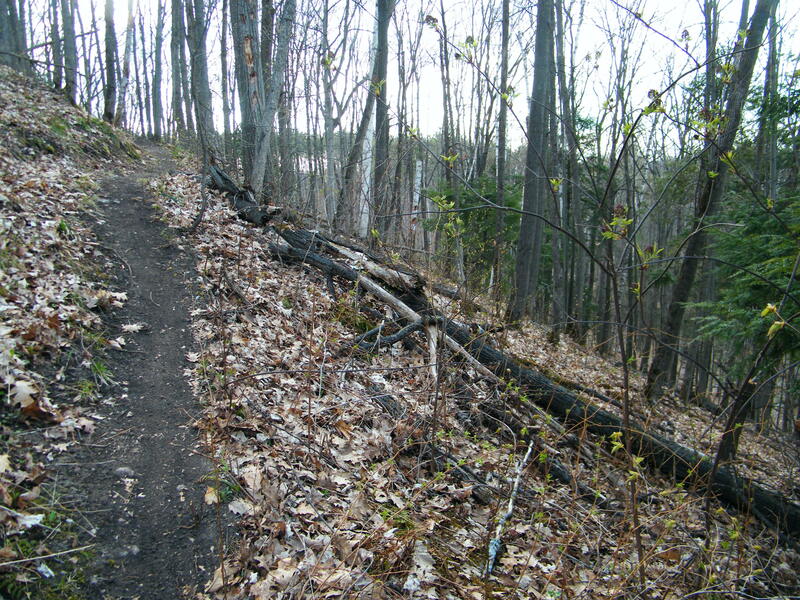 Except for a couple hundred metres of road at the beginning of each of the 4 loops, the course is all trail and mostly single-track. In such a setting it does help the mental aspect, but the hills were indeed leg burners. Just over a mile of altitude gain and loss for the 50k. Crazy at it sounds, I am hooked. 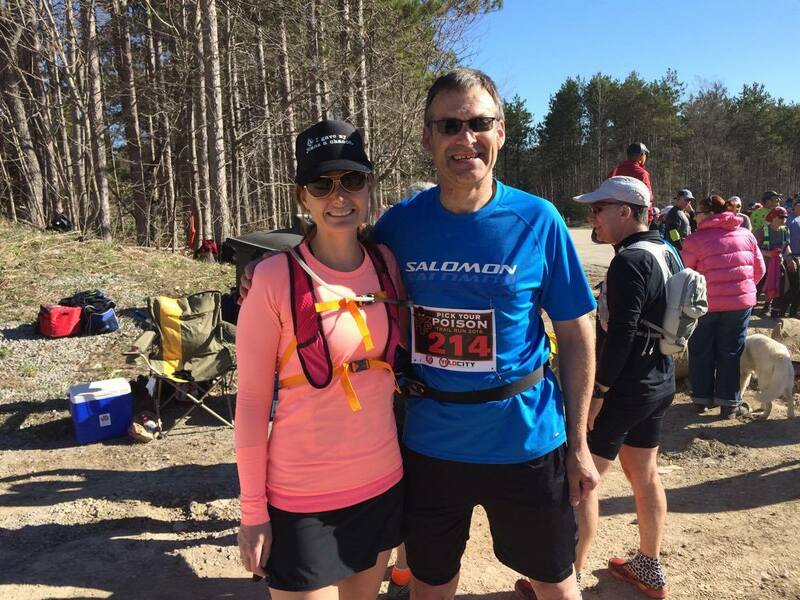 Caron successfully completed her 2nd Ultra this past Saturday. I had another commitment. She did very well in extremely hot and humid weather. I hadn’t dropped by in a while – this is an amazing story! I’m going to head over to Caron’s blog and check it out. Holy cow! I can’t even imagine – that’s so impressive! Jeez what a read! it was like a movie! First I was drawn to the pictures, they tell such a story on their own, you know the punishing up-hill paths leading to who knows where and the beautiful pictures of the woods…maybe it’s just my creative mind…But yes wow, wasn’t expecting that. Congrats on getting there! Ha! I WAS wondering how you got them! I thought surely he’s not clicking away whilst running and upchucking (to put it bluntly! : ) ) And yes I love pics like these. Hi C – I am back and enjoyed reading a few posts here tonight – perfect for a midsummer relaxing time. Enjoyed skimming the comments on this post as well – and I agree – that after the run photo does not look like you two ran the 50k! Anyhow – you told this so well – I could feel the angst with you as you were making the decision in real time – and I recently had a cramp from low salt (not from running – but not fun) and so I felt that a bit with you. And you know – one final thought I had was how so often God uses our willingness to help and serve others – to also give us the desires of our hesrt that way! I see this in my own life again and again. I reach out for a friend – and God uses that giving in many ways – and your niece is blessed to have you – an uncle who runs and one who cares !